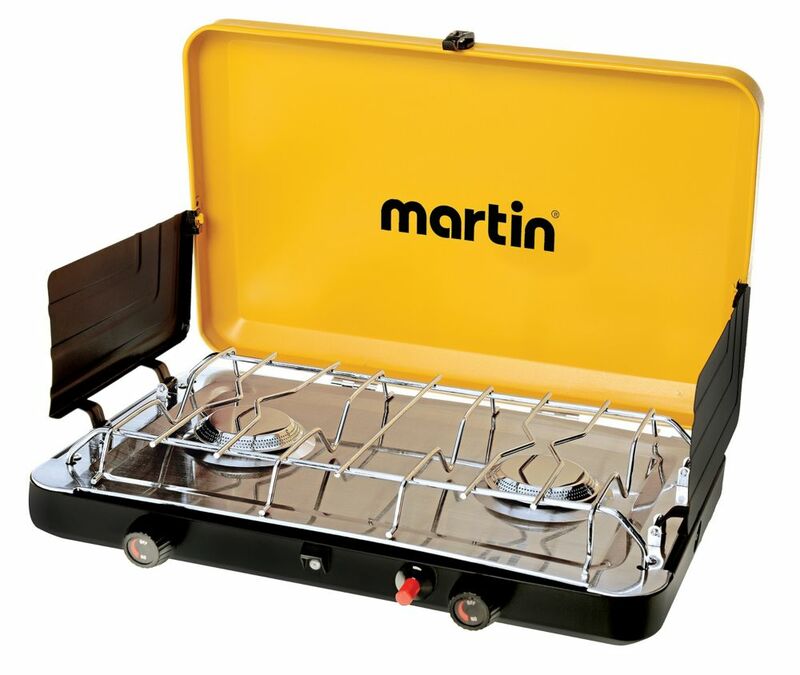 The Martin MCS-250 Luxury Camp Stove is the perfect companion to all your outdoor activities. 20,000BTU`s from two stainless steel burners, will look after all your cooking needs. Piezo igniter included. For boiling, brewing, frying, or whatever the job might be, this little stove has the power to get it done. The maximum output highpressure burner system heats mass amounts of liquid in a hurry and will maintain it at boiling temperatures. It's a great cooker for home canning, seafood boils, and brewing. Now in stainless steel, you can finally cook in humid or coastal climates without worry about rust. Add this compact, powerful stove to your collection today. MCS-250 Luxury Stove The Martin MCS-250 Luxury Camp Stove is the perfect companion to all your outdoor activities. 20,000BTU`s from two stainless steel burners, will look after all your cooking needs. Piezo igniter included.